At United Resource, we specialize in all-inclusive slurry management which often includes the preparation of a slurry management plan, sampling and testing, monitoring and management, neutralization, land applications, dewatering and recycling. The composition of the slurry varies depending on the type of project. 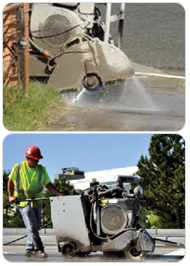 For projects that generate concrete slurry, we obtain approval from the engineer to use the slurry as a liming product and land apply the slurry at a uniform rate within the right-of-way, or at an area close to the project, without ponding, pooling or runoff problems. In the event that a “land application” is not applicable, the slurry will be dewatered to reduce, reuse and recycle portions of the slurry. Thus, valuable raw materials will be kept, and there will be no need for expensive, large volume dumping. United Resource today! Your trusted resource for slurry management!